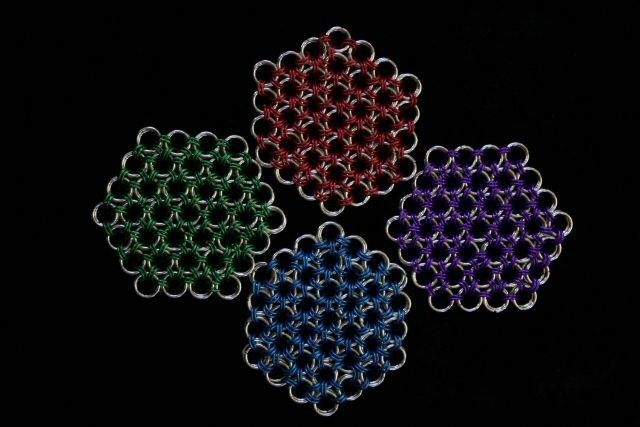 Using anodized aluminum and bare aluminum, I created a set of drink coasters. 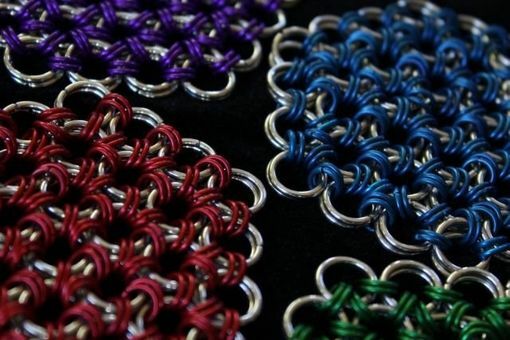 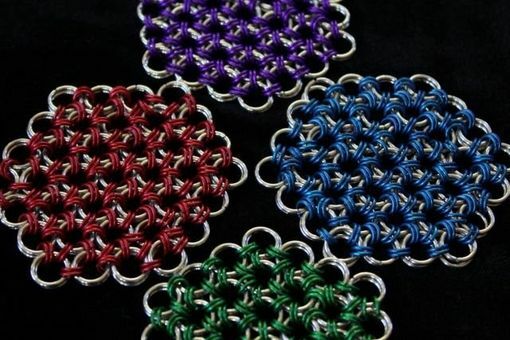 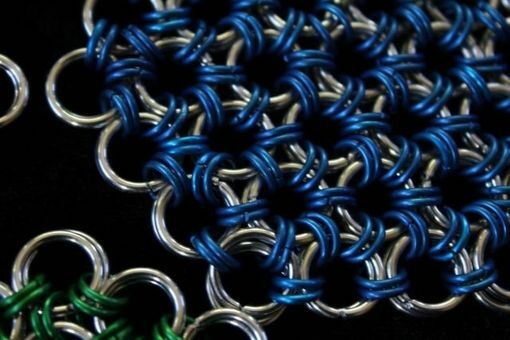 The weave used is Japanese 12-in-2 and it creates a "Flower of Life" style pattern. Use them in your home, office, in an upscale restaurant - they can be made in any metal to any size.